In Italy Christmas, or Natale, is one the most beloved holidays of the year: it is all about family, colors, scents and of course splendid and scrumptious food! Days are spent in the kitchen to prepare appetizing recipes, more or less in the same way as nonna (grandmother) did in the past, and then hours are spent around the table with our families enjoying delicious food and tasty wine. 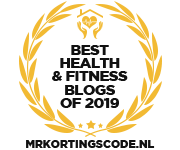 We are allowed to indulge, to give in to food temptations, but always with moderation, remembering that quality, not quantity, makes the difference. Homemade food is certainly tastier than prepared food, because it is made with love and passion. My menu is simple, traditional (at least to me) and definitely impressive on the table. 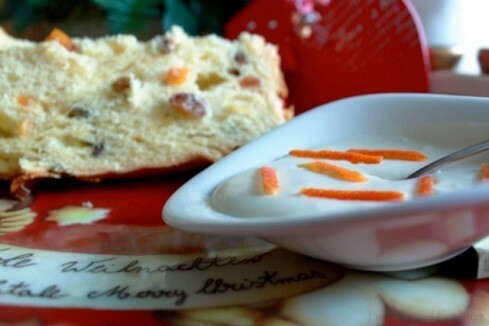 Here are some ideas to plan your five-course Christmas meal, Italian-style, to make this day extra special. On Christmas day, the first course (primo) is always preceded by an appetizer (antipasto), as an introduction to the meal. 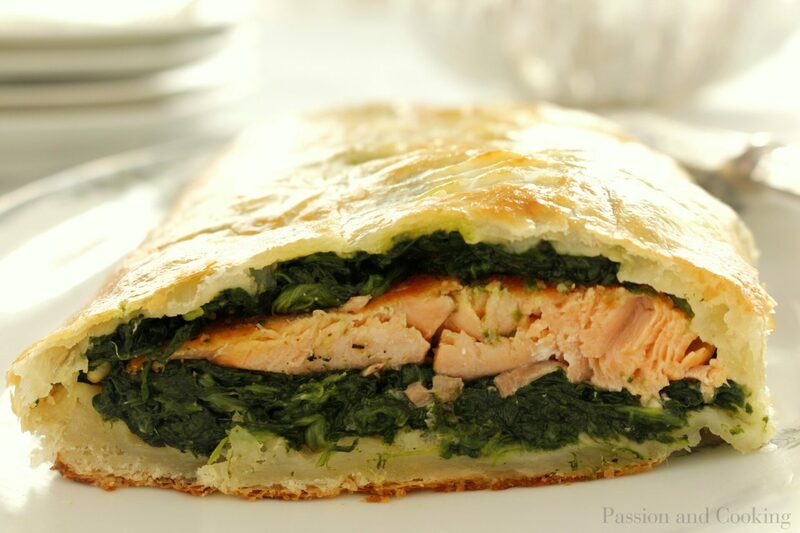 Appetizer: I would suggest something light – salmon wrapped in puff pastry. This is a quick, easy and mouthwatering recipe. The pinkish-orange color of the salmon contrasts with the intense green of the spinach; we eat with our eyes too! First course: As first course (primo) – prosecco risotto with prawns – a sophisticated and delicious dish. 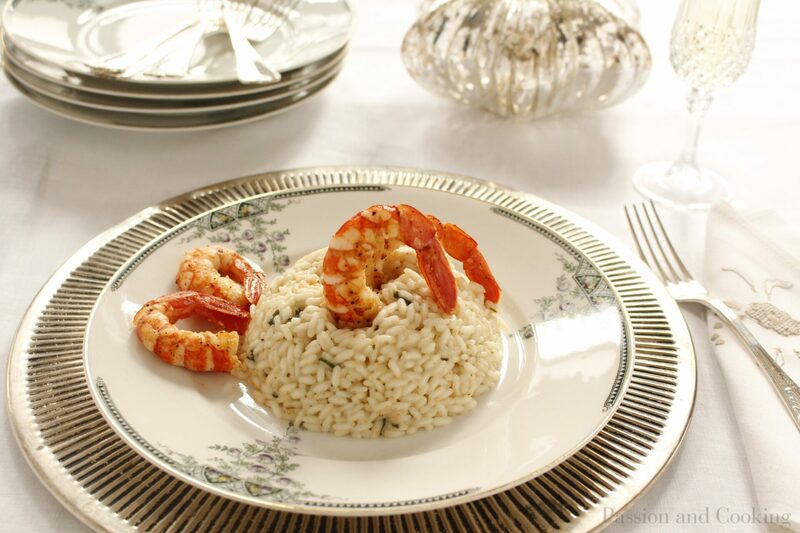 The taste of risotto is enhanced by the prosecco’s flavor and by the delicacy of the prawn. Intermezzo : In an important meal such as Christmas lunch, sorbet is a must. It is a palate cleanser between the fish and meat courses. Lemon sorbet is very refreshing; I love it as a dessert as well. 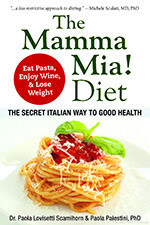 It helps you digest and is light, something that does not make me feel guilty after eating it! Main course: In Italy, meat is a traditional choice for secondo (main course). 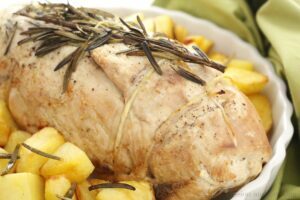 Turkey roll with spinach and ham is an appetizing and inviting main course. The roll is made with turkey breast, enriched with spinach, Parmesan cheese and ham. This filling and the addition of white wine during cooking give a tasty flavor to the meat. You can serve it with roast potatoes and seasonal salad. 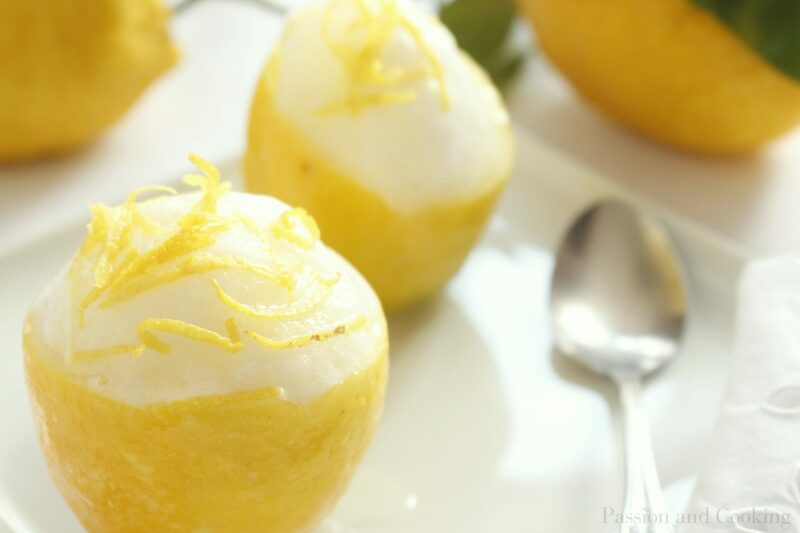 Dessert: I am very traditional and, being from the North of Italy, my choice is panettone, the classic panettone, but topped with a fresh mascarpone cream flavored with mandarinetto or limoncello liquer. 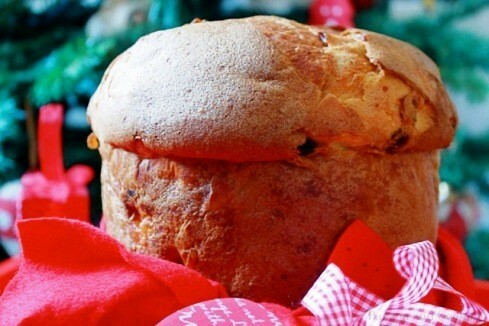 You can replace Panettone with Pandoro. MERRY CHRISTMAS! BUON NATALE! And of course, HAPPY COOKING!